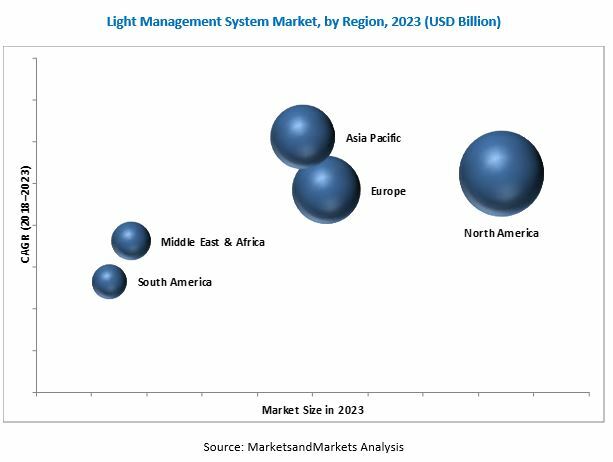 [146 Pages Report] The global light management system market is estimated to be USD 11.66 Billion in 2018 and is projected to reach USD 21.51 Billion by 2023, growing at a CAGR of 13.03%, from 2018 to 2023. The growing demand for smart controls in building automation systems and increasing adoption of energy efficient lighting are driving the light management system market around the world. This research study involved the use of extensive secondary sources, directories, and databases, such as Hoover’s, Bloomberg Businessweek, Factiva, and OneSource, to identify and collect information useful for a technical, market-oriented, and commercial study of the light management system market. Primary sources are mainly industry experts from the core and related industries, preferred suppliers, manufacturers, distributors, service providers, technology developers, standards and certification organizations of companies, and organizations related to all the segments of this industry’s value chain. The points below explain the research methodology. The key players in the market include GE (US), Philips Lighting (Netherlands), Eaton (Ireland), Zumtobel (Austria), OSRAM (Germany), Schneider (France), ABB (Switzerland), Legrand (France), Siemens (Germany), Acuity (US), Lutron (US), and Honeywell (US). The global light management system market is estimated to be USD 11.66 Billion in 2018 and is projected to reach USD 21.51 Billion by 2023, growing at a CAGR of 13.03%, from 2018 to 2023. The growing demand for smart controls in building automation systems along with increasing adoption of energy-efficient lighting are the main factors driving the light management system market globally. The report segments the light management system market based on function into dimming control management, occupancy-based management, schedule-based management, and daylight control management. The dimming control management segment is estimated to hold the largest market share, followed by the occupancy-based management segment. Dimming control management is widely used to reduce the energy consumption of light sources and, consequently, the intensity and output of those light sources. Dimming control management includes systems that provide the management of luminance and color and temperature of lighting. The light management system market has been segmented, by application, into indoor and outdoor. The demand for indoor light management systems is expected to grow at the faster rate due to the increasing demand for smart lighting controls in the commercial sector across developed and developing countries. The indoor light management system market in Asia Pacific is expected to grow at the highest CAGR due to the increasing demand in China and India. The light management system market has been analyzed with respect to 5 regions, namely North America, Europe, Asia Pacific, South America, and the Middle East & Africa. The North American market is expected to lead the light management system market, by region. The increasing adoption of energy-efficient light automation systems is the major driver of the light management system market. The growing investments in smart cities across the world will offer significant opportunities for light management system providers. The figure below shows the projected market size for 2023 in various regions, with the respective CAGRs. The major factor restraining the growth of the light management system market is consumer perception of the higher cost of products and installation. The lighting industry is very fragmented and offers opportunities for consolidation. This can be seen by the several major mergers & acquisitions taking place in the industry, as well as the formation of subsidiaries by the larger players in the market. Some of the leading players in the light management system market are GE (US), Philips Lighting (Netherlands), Eaton (Ireland), Zumtobel (Austria), and OSRAM (Germany). 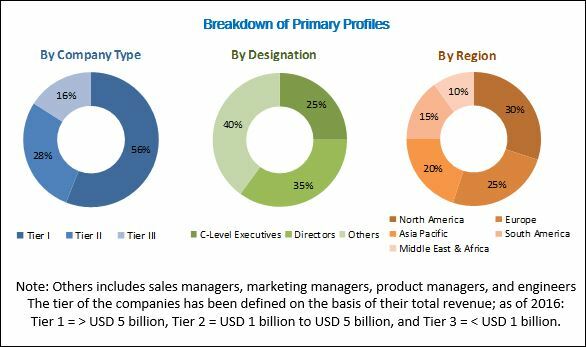 These players have adopted growth strategies such as new product launches, contracts & agreements, and expansions to capture a larger share of the light management system market.